In the year YC 103 something remarkable happened in the Gallente Federation. Despite its declared pluralism and multiculturalism, that society never had a leader who was not of native Gallente descent. In that year – however – the citizens of the Federation elected the first president who could not trace his ancestry back to the system of Luminaire, an Intaki by the name Souro Foiritan. He became the most popular head-of-state since the much revered Aidonis Elabon, the man who first helped forge peace between the nations of New Eden. However, as high as Foiritan rose in popularity, as deep was his fall. The political career of this exceptional man is not the subject of this article, but it does reflect the unique culture Souro Foiritan came from. The Intaki are the subject I want to discuss in this two-part series and at its end I want to show that Foiritan’s successes and failures are both strongly tied to his cultural background. To do so, I have to begin much earlier in New-Eden’s fictional history. There is no clear record of the Terran ancestry that the Intaki descended from, but their origins must have been diverse. Their general phenotype appears to be Caucasian or Turkic, their philosophy, religion and culture shares much with Eastern and Central Asia, and their language has many similarities with those of the Indian subcontinent. Like all colonists of New Eden, they fell on hard times after the EVE Gate collapsed but their homeworld provided enough for them to survive. Although Intaki V had many deserts and boiling oceans hostile to human life, the polar regions were covered in lush tropical and temperate forests, protected from the harsher elements by high mountain ranges. Throughout the many centuries the Intaki managed to maintain a strong social culture of mutual respect, based on a deep spiritualism and philosophy, tempered by open-minded pragmatism. When New-Eden’s humanity finally took to the stars again, the Intaki were the first civilisation discovered by explorers from Luminaire in 22794 AD, 327 years before the founding of the Gallente Federation. Back then the Caldari and Gallente were still united in their expansion across the star-systems of New Eden and the Intaki welcomed them both. The Intaki people recognised many ideals of their own in the foreigners. In the Caldari they saw a dedication towards personal perfection coupled with a deeply rooted spiritualism and in the Gallente they admired open-mindedness, progressive thinking and pluralism. After the Intaki allied themselves with those two thought-provoking peoples, advanced Gallente and Caldari engineering soon began to transform their simple pre-industrial society. Despite their deeply rooted traditions, the Intaki were adapting quickly and although they did not shed their culture, they fully embraced the technology of the spacefaring age within a century and became founding members of the Gallente Federation at its formation. The bond they then developed with their fellow Federation citizens added much to their confusion and dismay when the Caldari and Gallente broke up in conflict. When the first Gallente-Caldari war erupted, the Intaki society fractured. Many Intaki sympathised with the Caldari. Like them, they had always protected their own cultural identity against the overbearing Gallente and even retained limited self-governance. Still, since the Intaki as a culture tend to avoid open conflict, the majority disapproved of the Caldari breaking the social cohesion all Federation citizens had enjoyed. They remained dedicated to the great social experiment of that multicultural nation and kept striving to be a voice for peace and unity. During their long march through the institutions, they became some of the most important politicians, administrators and diplomats of the Gallente Federation. 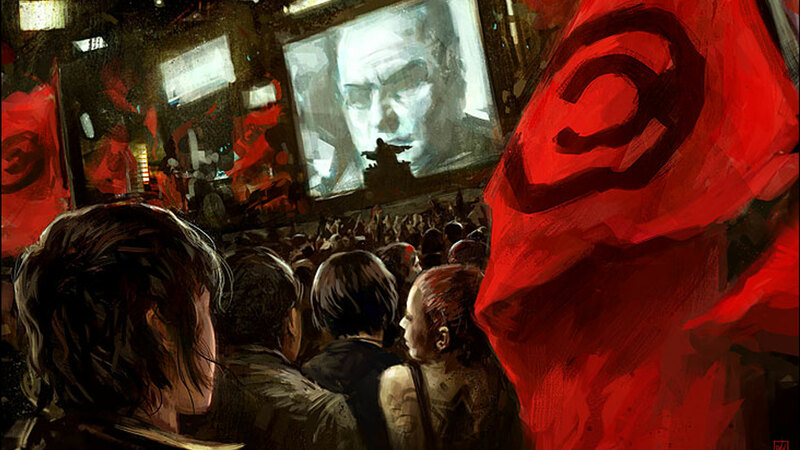 Those among the Intaki who were most dissatisfied with the oppressive Federation bureaucracy and the disproportionate response of the Gallente navy against Caldari Prime became the most militant outside supporters of the Caldari in their fight for self-determination. The ingenious commander Muriya Mordu recognised that potential and rallied the radical Intaki secessionists behind his banner. After the war they initially joined the newly formed Caldari State and settled in Waschi City on the planet of Kamokor IV. Soon they had to realize, however, that a desire for self-determination and independence was not the only reason why the Caldari had fought so hard against their former confederates. Xenophobia and cultural chauvinism was just as strong among many of them. The Intaki in exile became a segregated minority and even suffered occasional racist attacks. Muriya Mordu and the other Caldari who had fought alongside the Intaki secessionists did not abandon or reject their comrades though. Together they seceded yet again, this time from the Caldari State, and became fully independent as Mordu’s Legion. Today they rival even the most powerful capsuleer alliances in fighting strength and tactics. 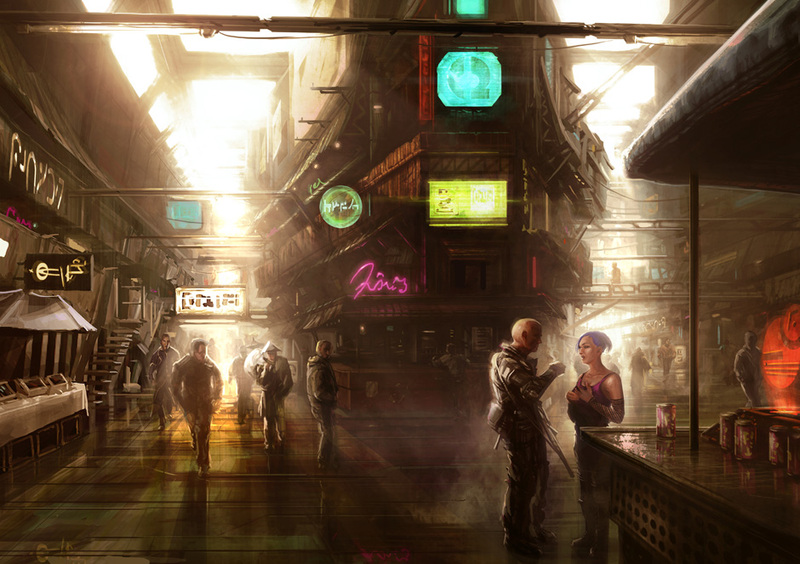 After the terrible war between Gallente and Caldari had ended, the Intaki were thus left as a divided people. In more recent historical developments, they grew closer together again, but before writing about this, I want to take some time to explain the social and cultural background of the Intaki. The tenet of moderation directly comes from Buddhism, and the emphasis of a path or way that every believer has to walk themselves is very Taoist. Their thoughtful way makes the Intaki appear as slow, docile and pacifistic sometimes, but it would be a mistake to think of them as weak because of it. Intaki may not act rashly or overly emotional, but they are very firm in their convictions. Since their religion puts a lot of emphasis on individual development, they reject all dogma which would hinder such pursuits. As such they are naturally opposed to the Amarr way of thinking, but they also find themselves at odds with their Gallente allies often enough. Although the Intaki appreciate Gallente values when it comes to freedom of expression, they have issues with the excessively hedonistic self-indulgence which is so prevalent in Gallente culture. While that may be a minor cultural difference, there is a much more fundamental disagreement between Gallente and Intaki when it comes to politics. Despite being a democracy, the Gallente Federation’s political caste is almost as riddled with self-serving byzantine intrigue as the Amarr Empire’s nobility. Furthermore, heated emotional issues are often exploited by Federation politicians which can lead to extremist views becoming mainstream. The rise of Ultra Nationalists during the Caldari Gallente war therefore had lead to the secessionist movement which many Intaki supported. Even at the very beginning of their membership in the Federation, the Intaki kept the Gallente at arm’s length. Even today they are governed by their own home-rule institution: The Intaki Assembly. Additionally, the Intaki people have always rejected major military deployments of Federation forces and they continue to do so today. In response, the Gallente Federation let both the Syndicate and the Placid region devolve into a state of anarchy. Capsuleers and baseliners of the Federal Defence Union have since repeatedly offered to “clean up” Placid, but the Intaki declined. Instead, Mordu’s Legion have been hired as the defence force both for Intaki Prime and the Intaki Syndicate. Rather than being nationalist, the Intaki are pragmatic in their alliances. They did not allow the major Gallente corporate powers full sway over their solar system’s economy, but on the other hand struck a deal with the Caldari Ishukone corporation for economic development. I will elaborate more on that later when I discuss recent history. Despite being a deeply spiritual and philosophical people who prefer peaceful resolution of conflicts, the Intaki are very protective of their own way of life. That does not prevent them to be open to outside influences and adapt quickly, though. After all they embrace everything that offers an opportunity for further development and expansion of their horizon. Consequently they have established a peculiar duality of constituent principles for their society. Individualism exists equally beside a strong collective identity. A desire to learn is balanced with a firm adherence to tradition. A preference for peaceful conflict resolution is coupled with a rebellious spirit, and if the Intaki take up arms they are fully dedicated to the struggle. The most notable manifestation of the Intaki way is their system of governance. While they do embrace democracy as a means for the individual citizens to express their views and guarantee their civil rights, they also defer to spiritual leaders – the Idama – as final arbiters. In this way they show some similarities to the Minmatar tribal leadership structure. Other than the Minmatar Elders, the Intaki Idama are however not believed to be chosen and guided by ancestral spirits. Instead, the Intaki believe that the Idama are quasi enlightened beings not unlike the Bodhisattva in our own world’s Buddhist religion. According to the Intaki, the Idama are reborn souls who have acquired and retained the wisdom of past lives. While they are not considered infallible or omniscient, they are viewed as exemplars of selfless compassion motivated by the benefit of their people and all other humans. Within the Intaki belief system, they are simply the most qualified and trustworthy leaders who are available. 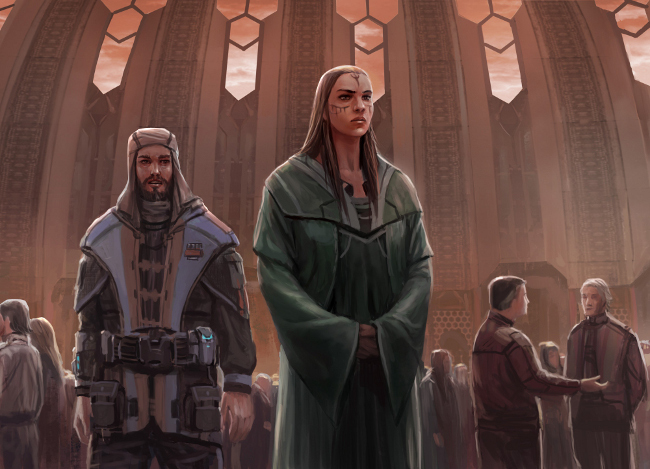 Whether one believes in reincarnation and the spiritual ways of the Intaki or not, the Idama have always acted as wise moderators and considerate leaders for their people and even within the broader context of the Gallente Federation. While they hold no official position of political power, the Idama are consulted by the Intaki Assembly and even petitioned by the general populace on most matters of spiritual, political or social importance. No other society of New Eden is directly comparable with the Intaki on a cultural level, and this unique way of life did not only cause the split during the Gallente-Caldari war, but would continue to shape events in the Empyrean Age. I will continue to elaborate on this period of historic turmoil and great change for the Intaki in the second part of this series. Be sure to return for that if you are interested in EVE’s rich backstory. Thanks to Bataav who pointed out my error assuming that the Syndicate settlers simply left. They were forced from their homes by a nationalistic government.